Are You a Back to School Slob? School is back in session. For many metro Atlanta families, that means another year of tripping over backpacks, losing permission slips, and wondering if the dog really did eat your kid’s homework. Take control of your future (and your child’s) with these back to school organization tips from Mr. Junk. Make a long term plan. If backpacks, lunch boxes, and papers don’t have a home, you can say “sayonara” to an organized house. Plan a DIY weekend to redo the mudroom. Create a shelf for shoes, hooks for jackets, and labeled cubbies for each kid’s school stuff. Do a sweep at the end of the night to make sure the kids repack and store their backpacks after the evening’s homework. Kick the clutter. The last thing parents when searching for a teacher’s note is to find crayons ground into the bottom of their child’s backpack. 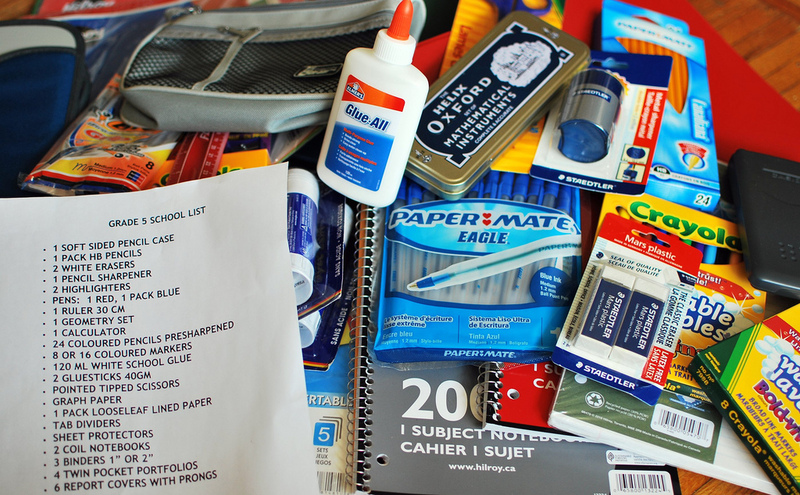 Set aside ten minutes each week to replace, restore, and reorganize school supplies. Stick to a system. The last thing parents want is to rush to school because their child forgot a permission slip. Create a filing system in your home office, complete with next-day, next-week, and long term school forms. For added organization, set a reminder with each date on your phone calendar. Master time. It may seem like a silly trick, but setting the clock ahead 10 minutes helps kids (and parents!) stay on track. Stop stressing that you’ll get out the door two minutes too late. Organize the pantry. Tired of tossing bags of chips into your kids’ lunchboxes — or worse, realizing you’re out of snacks? Bid adieu to lunch box woes by designating a single shelf in the pantry for school food. Store snacks in clear containers so it’s easy to see when to restock. Ready to toss last year’s clothes, shoes, and ratty backpacks? Call Mr. Junk to haul away boxes for donation.